Have you ever experienced a toothache? It’s very likely that you have. After all, almost everyone experiences toothache at some point in life, regardless of the oral care routine one follows. While it’s true that most of the toothaches occur because of cavities, however there are several other reasons for toothaches. 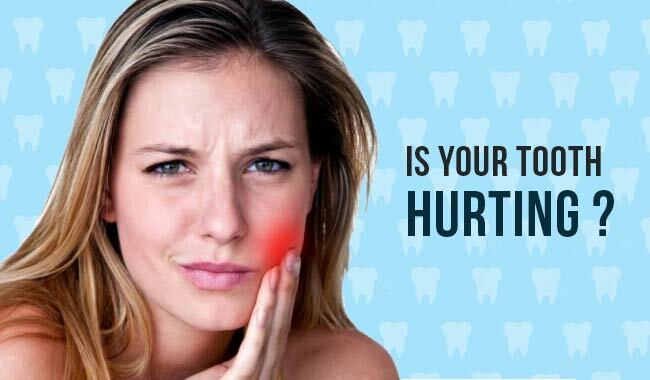 If you do experience toothache frequently you should not only look for toothache remedies but also all the possible causes to get better treatment and relief. Besides tooth decay or tooth cavity, here are some of the most common reasons for toothaches. Also Read: Why early diagnosis of tooth decay is important? While the most common reason for toothache is cavity, you can get one for other reasons too. If you experience stabbing toothache which is too sharp and increases when you bite or chew on your food, it could be because of infection or a cracked tooth. If you experience such sharp stabbing pain, you should visit your dentist as soon as possible. The doctor may run some tests including X-Ray scans of your teeth to get to the root of the pain. While this one is not that common, however people do experience toothaches for reasons that are not at all related to their teeth, such as sinus infection or temporomandibular disorders. You can identity such causes easily as they are usually accompanied by other symptoms such as nasal blockage, headaches and fever. If you start experiencing toothache right when you get a headache due to nasal congestion, it could be a sign of a medical condition or problem which is not related to your teeth but causes toothache as one of the symptoms. This one is quite common and a lot of people experience it. When you experience sharp pains whenever you eat something hot or cold, and if it’s not because of cavity, it is likely to be because you have sensitive teeth. Teeth become sensitive to cold and hot foods due to thinning of tooth enamel or receding gums. If you have sensitive teeth, you should book an appointment with your dental care provider or you can try switching your toothpaste to one which is suitable for sensitive teeth. While toothaches are usually not severe, they may get extremely painful and discomforting. It’s difficult to focus at work or anything when you have an aching tooth but most of the time the pain disappears on its own, unless you have a cavity or infection. However, if the pain is increasing and doesn’t subside on its own, in such cases regardless of the reason, it is crucial to get immediate diagnosis of the reason and treatment done for the pain.